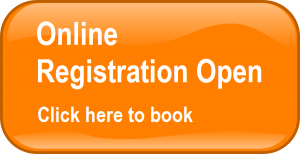 Onsite Registration Fees now apply -Click here to book your place! Registration is completed through the online booking process. Following completion of the online registration process in full, you will receive a confirmation email. Due to the Congress taking place from the 21st August, payment is only accepted by Visa/MasterCard at this time. Note: For Affiliated Society Members or Individual Members – Ensure you provide membership numbers as this may be required to validate a membership or required by your society to collect CPD points. Attendance at all Congress presentations, access to the exhibition and poster areas, Congress materials, opening ceremony and welcome reception, refreshment and catering breaks and Congress Excursion. You will be required to provide a valid current student ID on request. Ensure you also have this document/ID with you on arrival to the congress registration desk, when in Ireland. Attendance at the opening ceremony and welcome reception , plus the Congress Excursion and daily refreshment breaks. Accompanying persons Do Not have access to scientific sessions. Please refer to your sponsorship and exhibition agreement. Should you wish to edit an item please contact the registration desk using the details below for assistance.